So anyway, while people refer to Rebecca Hall – who’s only been on Vicky Cristina Barcelona in films here, people talk about Blake Lively’s character as “the prostitute” or “the junkie” while her show Gossip Girl plays on TV every single day of the week. Not even a “the Gossip Girl girl is something.” Just saying. It was interesting to see. Adapted from the novel Prince of Thieves by Chuck Hogan, The Town tells the story of a group of bank robbers from the city of Charlestown in Boston. Passed from father to son as if it were traditional work, there’s Doug MacRay (Ben Affleck), and his fellows Jim (Jeremy Renner), “Gloansy” and “Dez” – they’re about to rob a bank, and successfully take the money without leaving any evidence, except for the bank manager Claire Keesey (Rebecca Hall). They take her hostage, only to set her free and to keep an eye for anything she might know. As Doug befriends Claire and gets info on what she knows and is or not telling FBI agent Adam Frawley (Jon Hamm), Doug and his “buddies” get going on their next targets, because the money is never enough… not for Fergie (Pete Postlethwaite) anyway. Actually, I’m making it sound so very complicated, when it’s not. The Town is a very straightforward film, that gets you going from the minute the film begins. It seems Ben Affleck’s talent for directing wasn’t mere luck when Gone Baby Gone was done. If you had any doubt, The Town just proved he’s good for real. In here, he does it bigger, faster and better – it’s a bigger production, it’s a faster-paced film, and it turns out better. The film’s engaging in terms of action for those who need adrenaline in what they watch, and it terms of performances for those who need “more than a mindless action flick”. It also has drama, romance… and even humor. My mom watches a lot of CSI, too. Best, and craziest, performance goes to Jeremy Renner who, after this and The Hurt Locker, might be turning into an adrenaline junkie for real. The highest moment of tension, for me, it’s possibly the scene in which Renner’s Jim runs into Affleck’s Doug while he’s having a lunch date with Hall’s Claire. You don’t really know what’s going to happen, but it grips you in a way none of the car chasing and shooting got to you. Maybe it’s because we’re Claire… or we’re Doug. We think she knows, but we don’t want her to know? The frailty of Claire’s character – she’s new in town… a yuppie? No friends in town, no family. She was just kidnapped, it’s easy to understand why she might have befriended Doug – her friends said so, kidnap rebound. Did I want the bad guys to succeed? I think many in the theater did. Maybe that’s why no one liked Blake Lively’s character. She’s a junkie prostitute with a kid… in the end, she’s still a junkie prostitute with a kid. Did not love or hate her. Continuing with the ladies countdown, placing at #9 on our list of the 20 to Watch is none other than actress Rebecca Hall. And let me tell you, she’s one tough subject to find. Even though you can find her often named in various lists about rising stars and talents to look out for, you’ll find it difficult to find any decent sized photograph of her. You know, when someone captures a fan’s attention, websites will begin to appear about their work and life. More often than not, these fans would get the best image archives an artist could hope for. 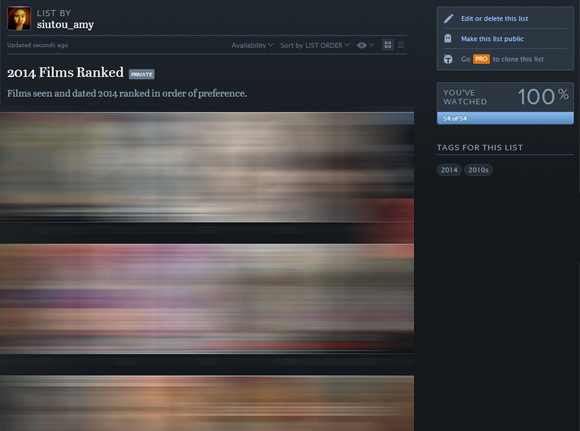 They somehow manage to find any high resolution, un-watermarked photograph and put it to the disposition of other fans, who in turn deliver fanart. It’s a delicious and vicious cycle of image and graphics. Rebecca Hall is hard to find, but oh she’s got the charisma. Born in London, England on May 3rd 1982, this 27-year-old actress shot to fame and is probably most known by playing Vicky in Woody Allen’s 2008 film Vicky Cristina Barcelona opposite Javier Bardem, Penelope Cruz and Scarlett Johansson. The role didn’t only rivaled Cruz’s performance — which earned her the Oscar for Best Supporting Actress — but also earned Hall her first Golden Globe nomination. However, before that, Hall also played a role in Christopher Nolan’s The Prestige with Hugh Jackman, Christian Bale, and Michael Caine. She accompanied her performance in VCB with a small appearance in Ron Howard’s Frost/Nixon with Frank Langella, Michael Sheen and Sam Rockwell. In 2009, she continued her streak with a role in Dorian Gray credited alongside Colin Firth, Ben Chaplin, Emilia Fox, Ben Barnes and Rachel Hurd-Wood. This year she will be starring on Please Give, alongside Catherine and Elizabeth Keener, as well as Amanda Peet. However, what’s in store for her? 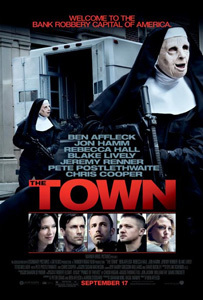 Well, the film The Town, directed by Ben Affleck and sharing the screen with Jeremy Renner, Jon Hamm, and Chris Cooper. With her on-screen charisma, that’s enough for us to keep an eye on her and the roles she chooses.